This circular route in the village of Ribeirinha evolves partially in the protected area for habitats and species management of Lomba Grande and the Graben of Pedro Miguel, one of the main Geosites of the Archipelago. Also known as the volcanic complex of Ribeirinha, represents the oldest part of the island with around 800 thousand years. 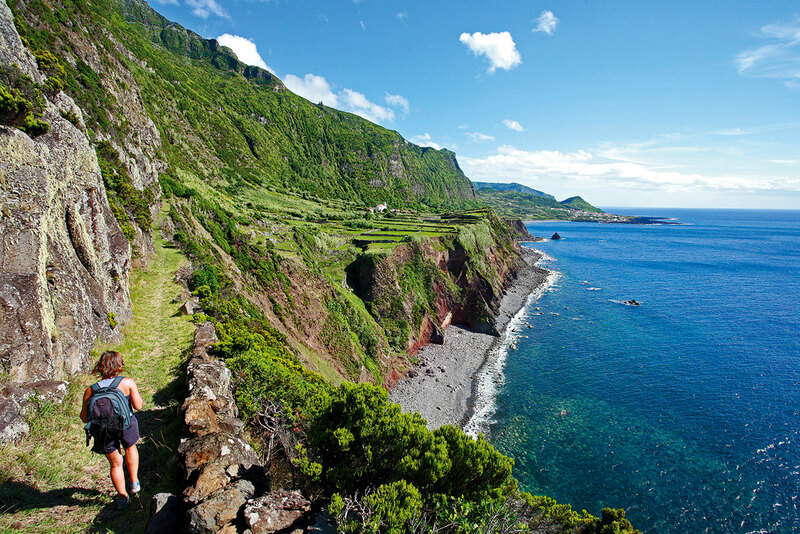 This circular route develops between Montes da Guia and Queimado, places of huge historical importance in Faial. Because of its strategic location, the peninsula was vital in the development of the telecommunications between Europe and the United States, where, in 1893 was installed the first underwater telegraphic cable, working until 1969 and crucial in periods such as the World Wars. It starts in the parish of Ribeirinha, the oldest and most eastern point of the island. In fact, the trail runs on one of the transversal faults of the great submarine ridge, located towards the West of Faial - the Mid-Atlantic Ridge - a true scar in the middle of the Atlantic Ocean. 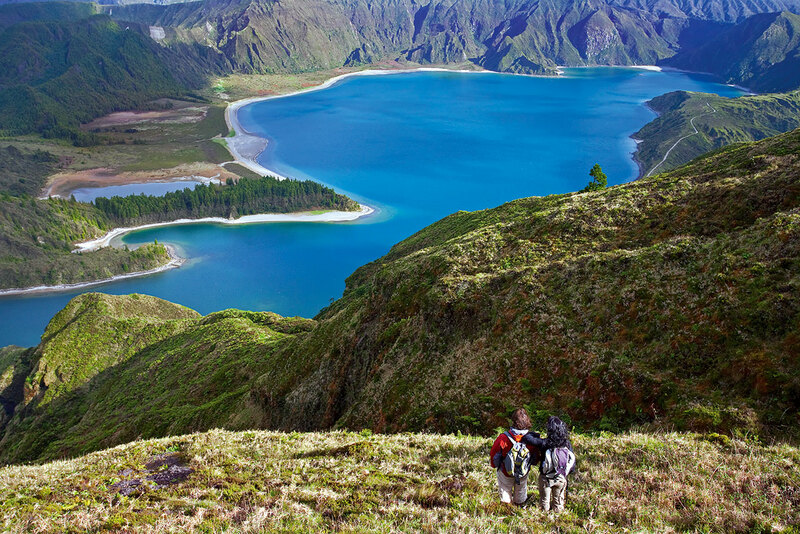 This route crosses a protected area for habitats and species management of Lomba Grande, a section of protected landscape of the Central Area and ends in the natural reserve of Caldeira of Faial. Major part of the trail is through the Graben of Pedro Miguel, one of the main Geosites of the Archipelago, ending in another also important one, Caldeira. This walk, besides its landscape value, takes place in old rural roads that connected the populations in the old times. Inserted in the part of protected landscape of the Central Area, this linear route crosses sections of great volcanic interest, passing by the Geosite of Peninsula do Capelo and of great richness regarding species of fauna and flora typical from the laurel forest (photo 1). Along the trail the marks change between the yellow and red from Small Route and white, red and yellow from the intersection of Grand and Small Route. The crossings are properly marked on site, with signaling arrows. 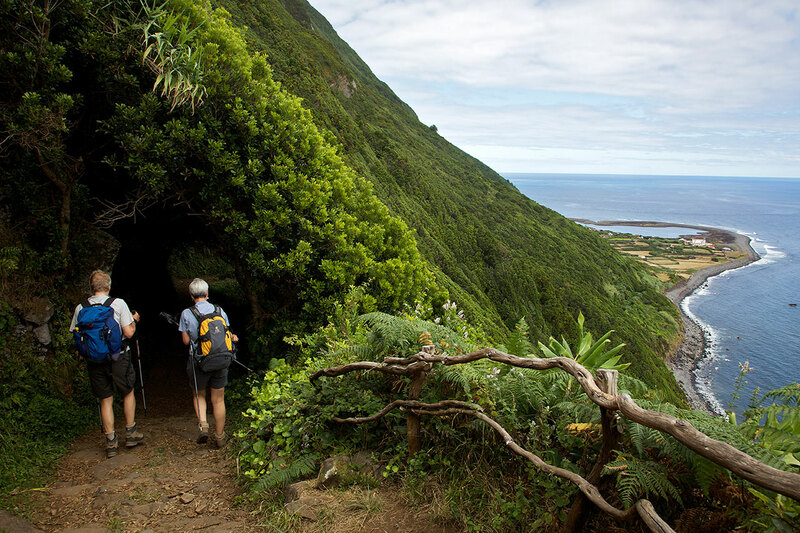 This route goes along the natural reserve of Caldeira of Faial, in a section of protected landscape of the Central Area and ends in the protected area for habitats and species management of Capelinhos, Northwest Coast and Varadouro. Along the walk it is notorious the origin of the island with passage in the Geosite of Caldeira, volcanic ridge of Península of Capelo and area of Vulcão dos Capelinhos and Costado da Nau. This trail begins at an altitude between 800 and 900 meters, being advisable to do it in days of good weather and visibility. Read more about Casa d'Ávilas, Lda. Faial, belonging to the Central group, has a pentagonal shape with a total area of 173,42 km2, is 21 km from east to west and 14 km long. The climate is mild, with small amplitudes in temperature, as on the other islands. Average temperature in spring is 16º C (60º F), 21º C (70º F) during the summer, 19º C (67º F) in the fall and 14º C (58º F) during the winter.